Its been over a year since I had visited Ayna. Many changes have taken place and a new person is at the helm of things. This ought to bring about a lot of changes not that it was needed it. 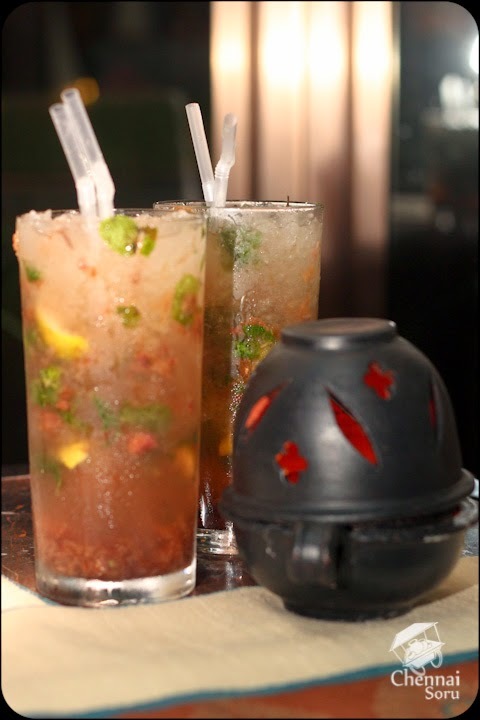 I have loved the Gulkand Mojito at Ayna, and I took this opportunity to introduce my mom to it. It was just me and my mom out for dinner for my Birthday dinner. A quick view of the menu and we settled on the set menu. This is the first time I realized Ayna had a set menu as well. 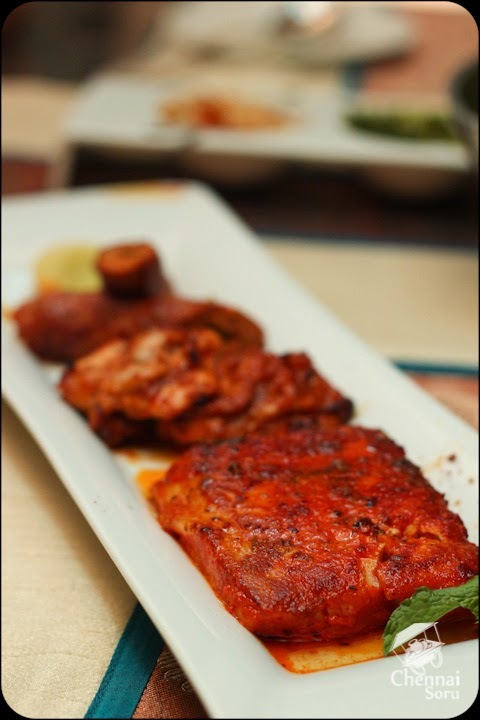 The 3 course meal started off with platter of sorts with a lovely tandoori grilled fish, two delicate pieces of chicken and finally taste bud mesmerising sheek kebabs. Gulkand mojito was in a different league all together. My mom went the distance to diceper it. A very good refreshing drink worth the order. Finally the mains reached our table. 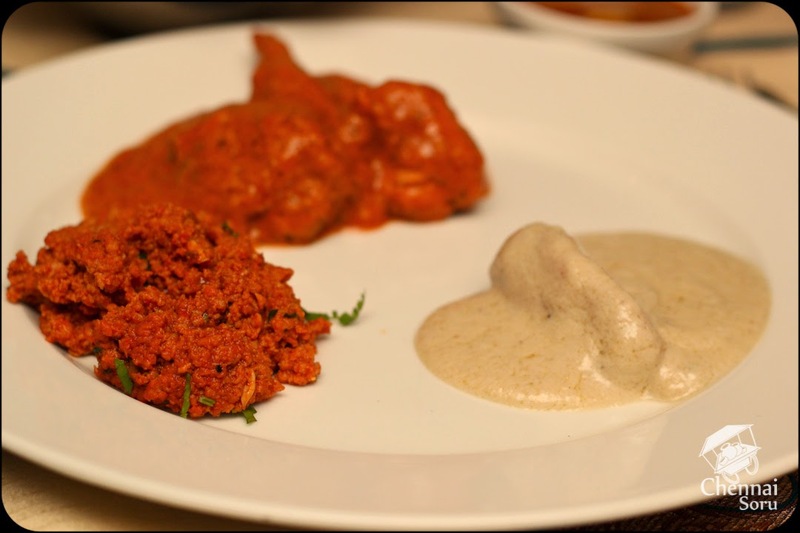 We were served with Murgh Makhani which is essentially chicken tikka masala, Lasooni Keema "Husseini" which is minced mutton in roasted spices. I am not a big fan of Kheema but I did love this. 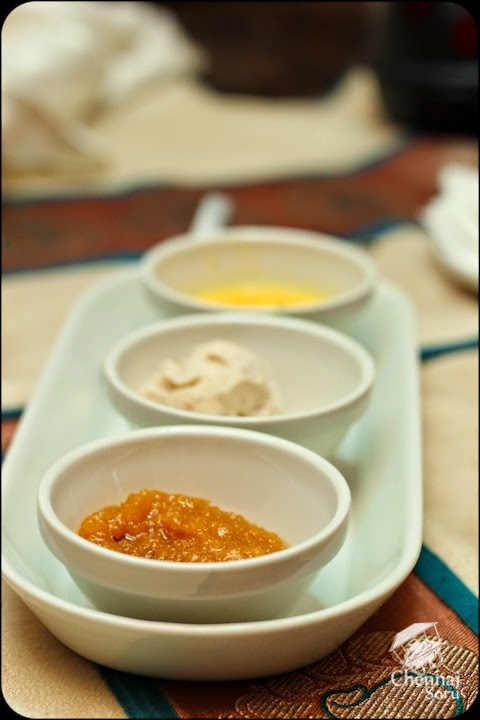 Finally we were served with Aloo Bukhara Kofta which is Fig, Prune and Cottage Cheese dumpling in a rich saffron gravy. I was just floored by the flavors of this gravy. I loved it so much, the next time I am here I would love to have it again. 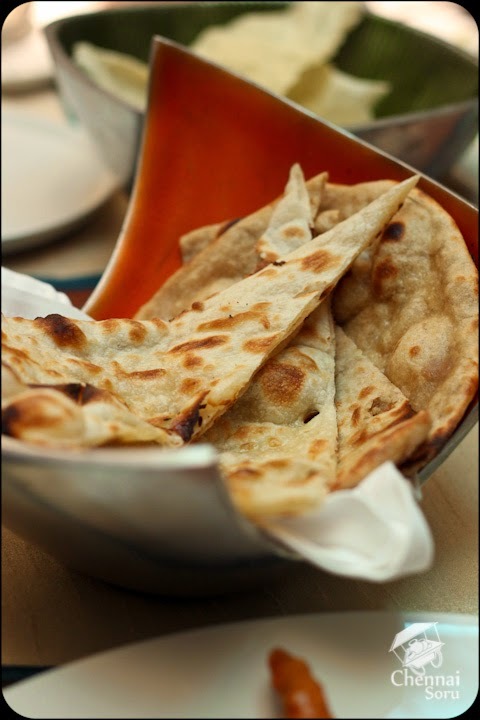 To go with these we had a selection of roti and naan. If this was not enough we had a mouth watering Dal Ayna with Hara Matar Pulao which is peas rice. Every dish was simply outstanding. It was a dinner fit for the royals and my mother seconded my thoughts by saying that that the nawabs and sultans of yester era must have dined on food like this. To finish of the delicious three course meal we had a trio of desserts which was a sampler of sorts. It had a small portion of Badam Halwa, a small scoop of ice cream and finally a Rasamalai. Each had distinct flavour. All in all a very good meal and a stunning one on my Birthday!! Plush comfortable, raja style seats. Rich table decor. An absolute kings feast. R O Y A L pampering. This set meal costs Rs 2000 / head + taxes. Definitely worth the money. Ayna is located on Level 3 of Hilton.